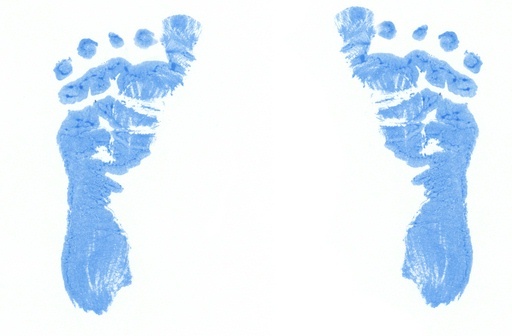 We've created a fun foot trivia quiz to use for your baby shower or girls get together. Think you know your feet? This "All Things Foot" Quiz will help you get to know them a lot better! Ranging in an assortment of questions to do with feet, these fun trivia questions will entertain everyone! 1. How many steps does the average toddler take in a minute? 2. Which Greek hero was a tendon in the foot was named after? 3. Your feet have over _________ sweat glands are in it. 5. How many muscles are needed to make your foot move? 6. What is the average amount of sweat your feet will release in a day? 7. Tight pantyhose can cause foot problems. 8. There are more than_______ ligaments in each foot. 9. The average person will walk enough to circle the planet how many times in their lifetime? 10. What is the cause of most foot problems? D. Shoes that do not fit correctly. 12. When is the best time of day to try on shoes? 13. What time of day is the best for clipping your toenails? 15. How many bones are in your foot? 17. Why is it better to be barefoot than to wear shoes? B. It just feels better! 18. In a day, the average woman takes enough steps to walk? 19. Which is the best way to cut your toe nails to prevent in-grown nails? 20. How many miles does an average person walk in a lifetime? Would you like your own copy of this trivia? Click here to download a printable version of the baby trivia game. You will need Adobe Reader installed on your computer in order to view the pages. You can download Adobe Reader here.